Nataraja Murthi is a depiction of Lord Shiva. It is believed that the universe is created, maintained, and dissolved in his divine dance. 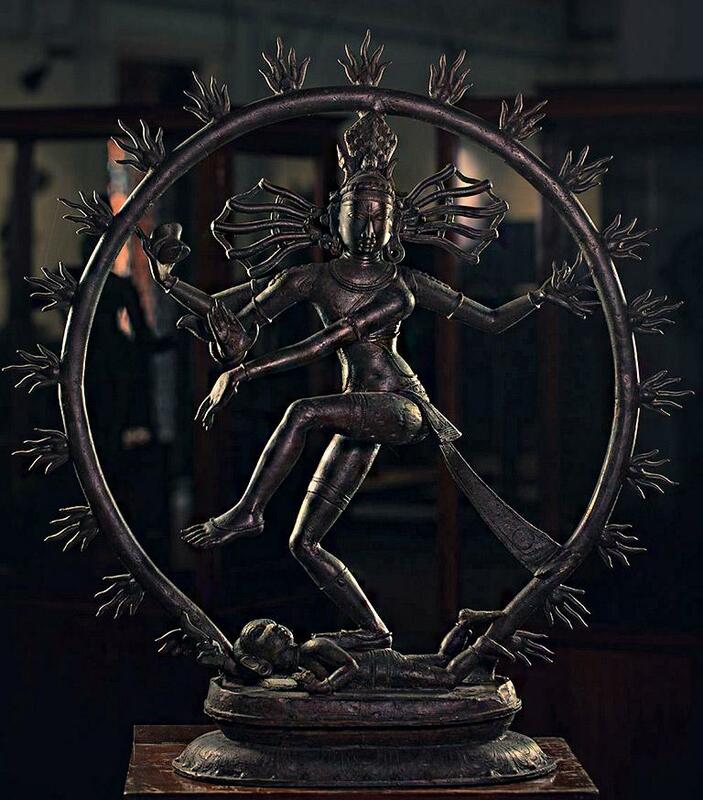 The sculpture symbolises Lord Shiva as the God of Dance. Surrounded by a beautiful prabha, this four-armed image stands in the dancing posture. Jata consists of the Goddess Ganga and crescent moon and the back arms carry drum and flame. The front arms are in abhaya and dancing posture. The lower left hand is bent round across the breast to the right. The fingers gracefully point below the leg which is raised in the dancing posture.